When things go wrong in business, it’s tempting to reach for the magic wand of rebranding, wishing for a miracle that will re-harness your good intentions and instantly bring back best practices, integrity, and orders. But there is no magic wand. Instead, you have to take stock of what is true and what is false; of what you can and cannot do. The good news is, this is the easy part. Companies often think about rebranding when their reputation has been tarnished. But rebranding without foundational changes is, at its root, a negative action that leads right back to the same point. Putting a new label on an old structure just costs money without manifesting real change. Doing the work, laying the tracks for change, then rebranding, can manifest the change and success you seek. The purpose of rebranding is to show people that you have changed. 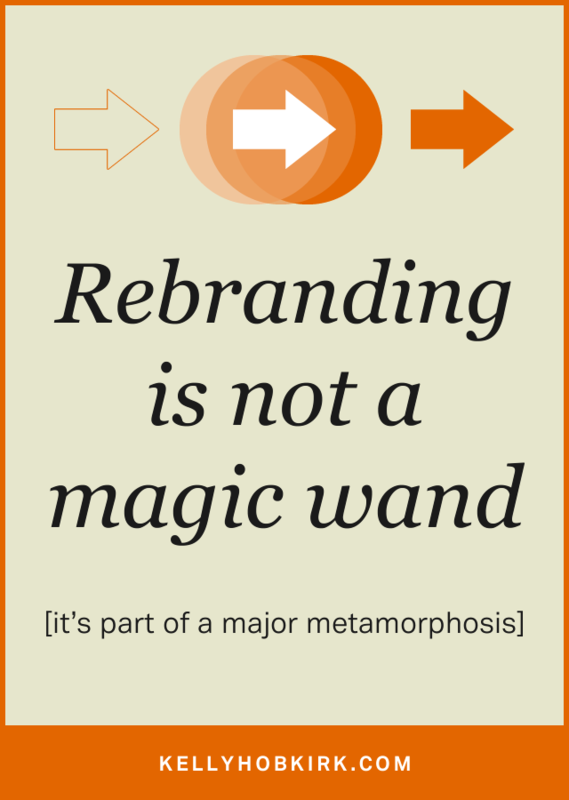 If you haven’t changed, rebranding is just a band-aid that will wear out. But if you have indeed changed, rebranding is a worthy proclamation, an announcement that people should take notice and can trust you again. Why is Stage 1 so important? Stage 1 lays a solid foundation for commitment to change. If you aren’t ready to change, there’s no point in rebranding. But if you are ready to commit to change, Stage 2, Rebranding, can be an incredibly powerful experience that transforms your approach and attitude about your work. Step 1 – Write a numbered list (random order is fine) of everything that’s been done wrong with orders, customers, and practices. Call this list “Problems.” This can be done on a piece of paper or in an Excel spreadsheet. For example, do your resellers get your brand’s usage guidelines? If not, add it to your problem list. Try asking some questions such as: What is the shipping time commitment when an order is placed? How often do you fail to meet it? What is your procedure for communicating real shipping time for out of stock items? For example, if you are not adhering to your warranty policy, write a commitment for doing just that. Or examine why you aren’t sticking to it, and change it so that you can. Step 3 – Consider and write down how your customers think of your brand. What are their experiences? What can they rely on in interactions with your brand and customer service? How would you like this to be different? Add these items to your Problems and Changes lists. Step 4 – Hang the list visibly on your wall and read it daily. Send copies out to all employees, creating a symbiotic check and balance team. Commit to your changes. Step 5 – Meet weekly to talk through any problems with implementing the changes. Discuss solutions, and update the list. By your completion of Stage 1, you should have a realistic view of all your brand or company’s problems that are holding you back or damaging your reputation. (They also tend to dampen your spirit.) You should also have a plan for implementing the changes that will eliminate those problems and provide new motivation for success. Step 6 – Meet with me or someone in the world who does what I do (apologies for the self-promotion, but I’ve met just one other person ever who does what I do). We’ll revisit brand strategy, positioning, design, brand messaging, and more. 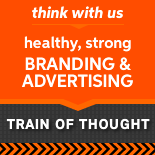 For an overview of branding, check out Train of Thought’s strategic branding page. Step 7 – Rediscover the energy, enthusiasm and purpose that saw you go into business in the first place. Step 8 – Love your newly redesigned brand, and prepare to share it for the purpose of changing how people think about and experience your brand and company. Step 9 – Got that Changes list handy? Get it so you can reference all of your impending changes. Step 10 – Write a professional letter explaining the changes you are making and what it means to customers. Explain how they should order; how product names will change; how they can expect all communications coming from you to change. Explain any other changes that can realistically upgrade their expectations for the better. Even if you have no one to whom you can send the letter, write it, for this letter will be a guiding light reinforcing your intentions. Step 11 – Send the letter old school-like in a new envelope showing off your new logo, on your new letterhead, and be sure to slip in your new business card. I hear people whine that letterhead and envelopes are passe, but this is nothing more than an excuse. People love getting personalized postal mail. It’s the best way to concretely get your message of change across. Yes, they will recycle the envelope and toss out the letter, but that’s not the point. The point is impact, and physical letters simply have greater impact than electronic mail. Plus, people pay more attention when your announcement is not just another boring email. If you have any new products, this is also an opportunity to slip in info about them and generate new interest. This is part of doing things differently. Part of your transformational change. Anecdotally, in a recent writing workshop, one of my group mates noted the high quality of the paper my pages were printed on. People notice when you do things differently. And what of the magic wand? We all love the romance of a magic wand, for it promises change as easy as feeling a new wind. The difference is, where experiencing the elements is pleasure, experiencing business success is work. You have to do the work if you want the rewards. The magic is in the feeling and results you get after a proper rebrand.